CHICAGO (January 29, 2018) - In its 33rd year of honoring the nation's best high school athletes, The Gatorade Company, (Monday) announced Grace Connolly of Natick High School as its 2017-18 Gatorade Massachusetts Girls Cross Country Runner of the Year. Connolly is the first Gatorade Massachusetts Girls Cross Country Runner of the Year to be chosen from Natick High School. The award, which recognizes not only outstanding athletic excellence, but also high standards of academic achievement and exemplary character demonstrated on and off the racecourse, distinguishes Connolly as Massachusetts' best high school girls cross country runner. Now a finalist for the prestigious Gatorade National Girls Cross Country Runner of the Year award to be announced in January, Connolly joins an elite alumni association of past state award-winners in 12 sports, including Lukas Verzbicas (2010-11, 2009-10 Carl Sandburg, Orland Park, Ill.), Megan Goethals (2009-10, Rochester, Rochester Hills, Mich.), Jordan Hasay (2008-09, Mission College Prep., San Luis Obispo, Calif.) and Chris Derrick (2007-08, Neuqua Valley, Naperville, Ill.). The state's returning Gatorade Runner of the Year, the 5-foot-7 junior won the Division 1 state meet this past season with a time of 17:50.18, breaking the tape 17.35 seconds ahead of her next-closest competitor and leading the RedHawks to a sixth-place finish as a team. 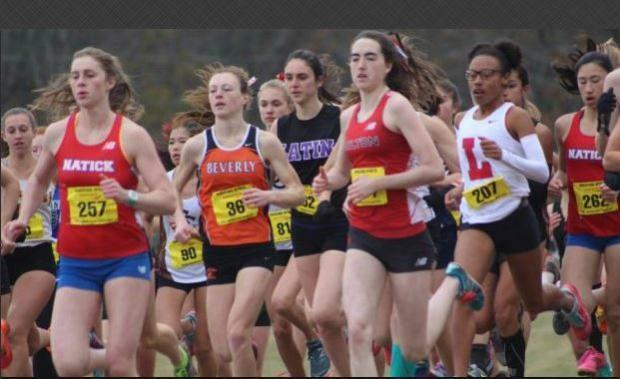 Connolly was in fifth place with less than a kilometer to go at the Foot Locker Northeast Regional championships when she fell and was unable to finish the race. The Boston Globe Division 1 Runner of the Year, she did not lose to an in-state runner during the 2017 campaign. Connolly has volunteered locally with the Special Olympics and as a peer tutor. She has also served as a youth running coach in addition to donating her time on behalf of multiple fundraising campaigns to benefit cancer research. "Grace is a great runner," said Chris Van Cott, head coach of Needham High. "Ever since her freshman year, she's been fearless in competition." Connolly has maintained an A average in the classroom. She will begin her senior year of high school this fall. The Gatorade Player of the Year program annually recognizes one winner in the District of Columbia and each of the 50 states that sanction high school football, girls volleyball, boys and girls cross country, boys and girls basketball, boys and girls soccer, baseball, softball, and boys and girls track & field, and awards one National Player of the Year in each sport. The selection process is administered by the Gatorade Player of the Year Selection Committee, which work with top sport-specific experts and a media advisory board of accomplished, veteran prep sports journalists to determine the state winners in each sport. Two-time winner Connolly joins Gatorade Massachusetts Girls Cross Country Runners of the Year Ariel Keklak (2015-16, LincolnSudbury Regional High School), Erin Dietz (2014-15, Bedford High School), Anoush Shehadeh (2013-14, Phillips Academy), Catarina Rocha (2012-13 & 2011-12, Peabody High School), Ariel Beauregard-Breton (2010-11, Deerfield Academy), Andrea Keklak (2009-10, Lincoln-Sudbury Regional), and Emily Jones (2008-09 & 2007-08, The Bromfield School) as athletes who have won the cross country award since its inception in 2007. As a Gatorade Player of the Year, Connolly will be able to select a national or local youth sports organization to receive a grant as part of the Gatorade Play It Forward program. Every Gatorade Player of the Year state winner receives a $1,000 grant to donate and will have the opportunity to enter for an additional $10,000 spotlight grant by writing a brief essay explaining why their selected organization deserves additional support. 12 spotlight grants - one for each sport - will be announced throughout the year.